Learn more about our many programs and services. Give us a call to discuss how we can help! Call (888) 636-8477 so we can discuss how we can help your child. Early intervention is critical to success! 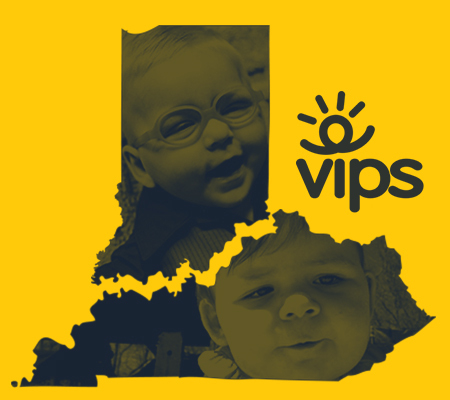 VIPS provides numerous services and programs to help children who are blind or visually impaired learn and successfully navigate their world. Whether you take advantage of our agency services like in-home visits or any of our programs offered through our regional office locations, we want to help your child unlock their potential. To learn more see our complete list of programs and services below for more information! Some programs are only available at select VIPS offices. To learn more regarding availability and locations click on the program links. Meet other families like yours! See our new Kids Town Preschool!